Luxury boutique hotel located steps away from the ocean. Book your luxury Miami Beach getaway with free airport transfers. 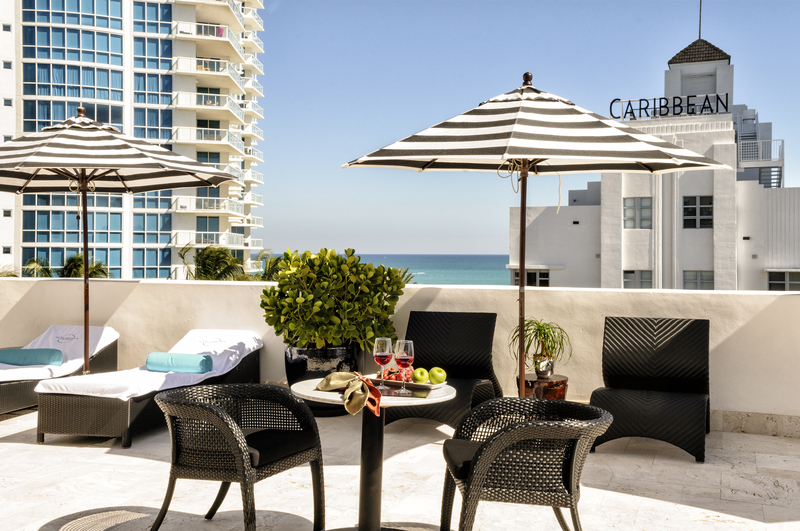 The 7-story Hotel Croydon dazzles with 104 guest rooms including a sprawling Penthouse with ocean views, meeting room and banquet space, a gym, a spa, an outdoor pool, an on-site restaurant and bar, and a rooftop sundeck with 360-degree views of the ocean and Miami Beach.